The village of Coachford was celebrating this week as the Under 13 soccer team won the Cork Schoolboys Division 2 league title, Aghabullogue Intermediate Footballers progressed to the fourth round of the championship and the Coachford Cycling club faired very well in the Kanturk three day event. The Killanardrish/Coachford under 13s secured their second league title in two years by securing a 1-1 draw against Avondale. The boys only needed a single point from their two remaining games. The firs of these saw them face a very strong side in the Blackrock based team who themselves were going for promotion. After a very tense and close first 30 minutes both teams had failed to break the deadlock. In the second half Avondale exerted a tremendous amount of pressure on the superb Coachford defense and eventually opened their account with a goal from a beautiful shot from the edge of the box. Coachford responded immediately and came close to equalizing on three occasions before finally finding the back of the net with a superb strike from Luke Casey ten minutes from time. Both sides tried in vain to find a winner in the remaining minutes and when the final whistle blew the Coachford side had been crowned league winners. Celebrations began with parents and friends spilling onto the pitch to celebrate with the players and coaches. The team manager said “ This was a great title to win. Following on from their success in last years under 12 competition, the lads were promoted up two divisions but they have proved that they are well capable of competing at this level. A lot of the boys also play with the under 12 team and certainly coming towards the end of the season fatigue was their biggest challenge. We are looking forward to playing under 14 football in Division one next season but we need more players from the area to come and try for a place on this magnificent team”. Killanardrish/Coachford players come from Coachford, Carrigadrohid, Aghabullogue, Aghinagh, Rylane and Dripsey. The winning squad were, Tadgh O’Brien Bradley, Conor Dineen, Alan O’Sullivan, Marc Dineen, Jack O Connor, John McMahon, Cathal Crowley, Josh Martin, Adam Murphy, Shan Lucey, Like Casey, Liam Twohig, Jack Oldham, Arron Doherty, Jack Murphy and Johnny Byrne. 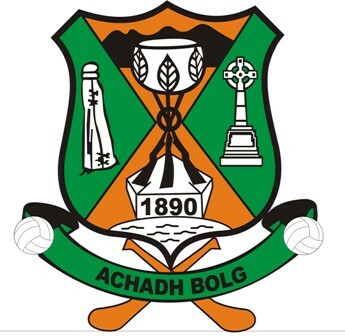 Aghabullogue Footballers defeated Mayfield in the Intermediate Football Championship first round in a great game of football on an excellent pitch in Blarney l ast Sunday. Aghabullogue were the better team on the day and their blend of youth and experience proved too much for the city side. 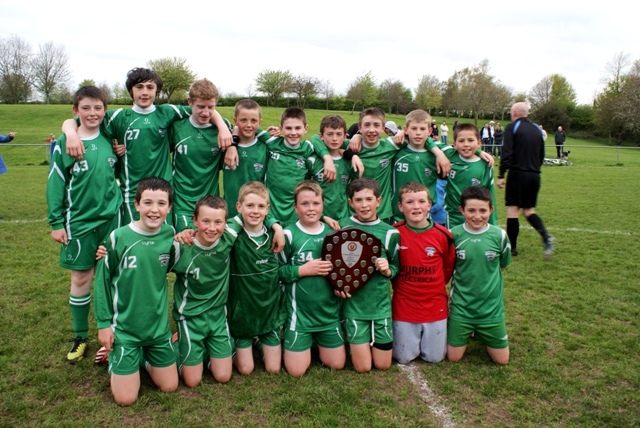 Great performances were the order all over the team with Pa Finnegan, John Corkery and Evan O Sullivan standing out. The lads now have a break of over six weeks before the next game. The club’s hurlers are next up on June 1st when they take on Barryroe in Brinny. Griffins Garden Centre will host a table quiz this Friday night at 8.30pm in aid of the ” FRIENDS OF LEUKEMIA CORK ”. Entry Fee is only €40 per table and a great night is assured. The Garden centre is a beautiful venue and a large crowd is expected to support this very worthy cause. 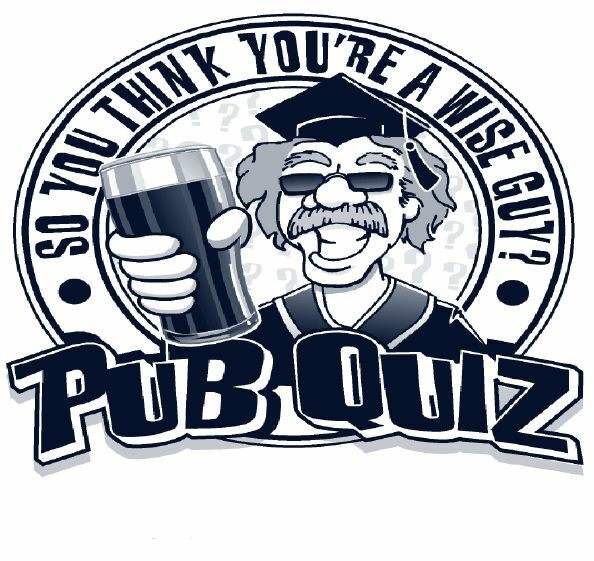 Quiz participants are invited to retire to the Weigh Inn bar in Dripsey after the quiz for some much needed refreshments and to query the questions! The Leaving Certificate Graduation Marking Ceremony takes place in the college on Monday 13th May at 7.30p.m. Parents and leaving cert students are most welcome. This entry was posted in Useful Numbers and tagged Aghabulllogue GAA, Dripsey, Griffins. Bookmark the permalink.